Commercial real estate refers to non-residential properties or those properties used in a commercial way, which means they are designed to make a profit. These include industrial parks, office buildings, malls, and stores. These types of properties are attractive to small business owners, who often don’t have the financial means to purchase their own building. Rather, they will hire or lease a space from a commercial property owner or investor, paying them a monthly rent. In fact, commercial real estate companies earn most of their revenue through rent collection. A commercial real estate owner makes it possible for businesses to perform their daily operations, ensuring customers are served conveniently. For those businesses, leasing a property is a flexible and cost effective way of having the necessary space where they can conduct their business. Usually, this is done through REITs (Real Estate Investment Trusts), which are made up of various pieces of commercial real estate assets. A REIT usually does not hold any residential real estate asset. You may be surprised at just how much profit investing in commercial real estate can bring. Take, as an example, McDonald’s, which is the best known fast food company in the world. What few people know is that most of their profits are earned not through the McDonald’s restaurant operations, but rather from their property assets. They own, some say, the world’s most valuable properties, often in premier locations. Each of these types of properties is managed slightly differently from the next. This is why, if you are considering finding Orange County commercial property for sale & lease, you need to not only gain a better understanding of the commercial properties, but also of everything that is involved with it. Let’s take a closer look. If you do want to invest in commercial property, you need to get to know the location of the property that you are considering. Orange County, CA, is home to some 3,010,232 people, which means it is the third most populous one in the state, and the sixth most populous in the country. Santa Ana is the country seat. Its four largest cities are Huntington Beach, Irvine, Santa Ana, and Anaheim. Each of these have more than 200,000 inhabitants. Some of the cities in Orange County are on the Pacific coast, such as San Clemente, Laguna Beach, Newport Beach, and Huntington Beach. This particular area is included in the statistical area of Los Angeles-Long Beach-Anaheim. This is home to 34 different cities, with Aliso Viejo being the newest one, having been incorporated in 2001. Anaheim, which was incorporated in 1870, was the first. Uniquely, Orange County does not have a defined urban center. Rather, it is mainly suburban, with a few exceptions in the older city centers of Santa Ana, Orange, Huntington Beach, Fullerton, and Anaheim. However, there are some very cool city type developments in areas such as South Coast Metro, Newport Center, and Irvine Business Center. Most people know Orange County for its tourist attractions. It is home to a range of beautiful beaches, Knott’s Berry Farm, and Disneyland. The coastline is some 40 miles long. The area is conservative in its politics, being listed in the 25 most conservatives in the country. Lastly, it is also part of the so-called “Tech Coast”. Investing in commercial property also means getting to know the economy. Business is found mainly in the City of Irvine’s developing urban core. In fact, many Fortune 500 companies are headquartered in Orange Country, which include the First American Corporation, Ingram Micro, Broadcom, Western Digital, and Pacific Life. Irvine in particular is popular with startup companies, and also with Fortune 1000 companies like Sun Healthcare Group, Standard Pacific, Epicor, Edwards Lifesciences, and Allergan. Companies like Apria Healthcare Group, Quiksilver, and Beckman Coulter, which are also Fortune 1000 companies, are also headquartered in Orange County. In Irvine, you will also find many tech companies, including Panasonic Avionics Corporation, Blizzard Entertainment, Linksys, and Gateway, Inc. Plus, you will find the Mercedes-Benz Classic Center USA, a truly prestigious business, as well as the Online Trading Academy. Orange County as a whole is popular with world-renowned businesses. These include companies such as Hyundai, Mitsubishi, Kia Motors, Samsung, Toyota, Toshiba, and Mazda. The area is also home to strong fashion brands, including Del Taco, Oakley, Inc., Hurley International, and more. There are also many electronic companies, cyber security firms, restaurants, and more. This demonstrates that Orange County is a very diverse location, which makes it more attractive to investors. Shopping is a favorite pastime in Orange County for both residents and tourists alike. The Fashion Island and South Coast Plaza, for example, are just two examples of world class shopping opportunities. There are also numerous outlets, which have only recently opened. These are proving to be particularly popular with tourists from Europe, who want to purchase last season’s brand lines, which are not yet available in their own country. In fact, tourism is a main economic driver in the state. Anaheim is the most popular location for tourists, mainly due to Disneyland, part of the Disneyland Resort, being located here. In fact, Disneyland is the world’s second most visited park of its kind. Knott’s Berry Farm is also very popular. Found in Buena Park, it receives some 7 million people each year. Some of the tourist attraction is business-related, with the Anaheim Convention Center welcoming many people every year. Orange County is the perfect location for a range of different tourist attractions, including dining, shopping, golfing, hiking, biking, and spending time at the beach. It truly offers something for everybody. If you do find yourself interested in commercial property, be that as an investment or because you need some space for your business, you have two main choices available to you: buy or lease. Deciding between those two is ultimately down to your personal needs and your own circumstances. Both approaches have their own advantages, and gaining an understanding of such may make it easier for you to choose between the two. The fact that it is perfect if you actually want to run a business because it requires only a little capital outlay. This means you have more cash available for other concerns of your business. No worries about having to pay more for your mortgage if interest rates go up. Easy to move out from if you want to increase or decrease your space. Since you are not the owner, you can leave whenever you want, within the limitations of your contract. The fact that there may be short term, highly flexible leases available, which is what you need if you are a start up business. The ability to change the premises if you want to, planning regulations and laws permitting. Properties, commercial and residential ones alike, make excellent investment opportunities. If you are looking for a higher financial reward, however, the real money is in commercial properties and not residential properties. Nevertheless, it should be noted that the reason why there is more money in that is because there is greater risk. This is why you need to truly understand what the pros and cons of investing in commercial property are before you make a final decision on how to invest your money in a commercial property, or whether to buy or lease if you want to run your own business. The first advantage of buying is that it gives you a serious income potential, something that residential properties will rarely be able to do. On average, you can expect between 6% and 12% return on your purchase price every year with a commercial property. With residential properties, this is usually between 1% and 4%. Secondly, you get to take advantage of professional relationships. Small business owners will do everything they can to protect their income. In most cases, commercial properties are owned by corporations and investment funds rather than individuals. Hence, the customer relationship between landlord and tenant is generally a business one. This keeps things professional, as well as courteous. Then, there is the fact that if you buy a property, you and the store that rents the space, will have a vested interest in keeping the property look good. After all, a good looking store is one that people are more likely to enter as well. In so doing, the value of your investment will stay as high as possible as well. When you own a commercial property, you are also committed to limited operation hours. Most stores do not operate 24/7, with only a few exceptions, and that means that you, as the owner, don’t have to be there 24/7 either. Furthermore, most commercial properties are served by professional security services. This means that, if something does go wrong, the proper authorities will be automatically notified, and you will only receive a call if there is a real emergency. Another pro is that your price evaluations are more likely to be objective when you purchase. Commercial properties are generally much easier to evaluate if you are looking at buying, because you only have to request the current income statement of the current owner to work out what a fair price would be. The seller is likely to use a broker who is very knowledgeable as well, which means that it is more likely that the price you are quoted is fair and linked to type of commercial property it is, such as industrial, office, retail, and so on. If you purchase a residential property, it is far more likely that the price has some emotional attachment to it: people love their homes and see them as more than simply a building. If you invest in commercial property to lease it out to someone else, you can also take advantage of triple net leases. There are variations of this, but it essentially means that you will not be responsible for the property’s expenses, which you would be if it was a residential property. Rather, the business that leases from you will be responsible for all the expenses, which includes real estate taxes. You are only responsible for the payment of the mortgage. 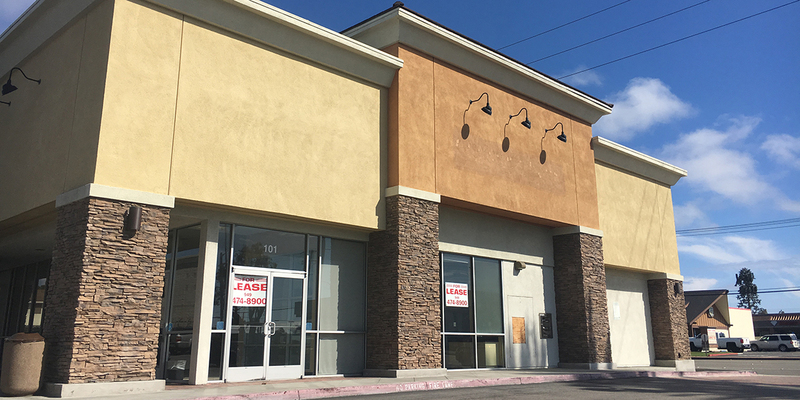 These types of leases are usually signed by larger chain stores, like Starbucks, CVS, or Walgreens, because they want to create a uniform look, which in turn means that they may have to make changes to the existing building. The final benefit of buying your own commercial property, particularly as an investment, is that your lease terms can be very flexible. There are not as many consumer protection laws in place when it comes to commercial leases. If you were to opt for a residential lease, you have to think about termination rules, security deposit limits, and about a dozen other state laws. With a commercial lease, you obviously do have to stick to certain rules, but they are far easier to maintain and adhere to than the ones governing residential properties. This is beneficial both for you and for your leaser, because you can come to a mutually beneficial understanding and agreement. That being said, there are some significant downsides to investing in commercial real estate as well. Every clever investor knows that there are risks involved with financial transactions, but it is important that you find out exactly what these are. The first is the time commitment. Owning a commercial property, and particularly one with multiple units, also means that you have to deal with a large number of tenants. With a residential property, you only have one to deal with. It is not possible to be an absent landlord if you want to see a good return on your investment. You will have to be ready to deal with your yearly Common Area Maintenance (CAM) adjustments and costs (although your tenants have to pay for this, you have to check up on it), multiple leases, a range of maintenance issues, concerns for public safety, and more. Effectively, you have to be ready to become a really good manager, and to set yourself in good standing as an excellent, reputable landlord as well. You may also need more professional help. You will have responsibilities for a number of different maintenance issues, and you often have to be licensed to work on those. You cannot leave everything as a DIY job, as you would actually be breaking the law. This means you have to have someone on board who can manage all the repairs and other emergencies. This is an added expense, and you need to be aware of that when you do your overall cost calculations. You will also have other property management expenses, and you need to factor all of those in if you truly want to know what the potential is for your return on investment. Usually, a property management company will charge you between 5% and 10% of the revenue you earn from your rent, which covers their administration and their services. You can lower this, however, if you manage the administrative side of things yourself. There is also the fact that your initial investment will be bigger. You will need to have some capital upfront, and particularly in a popular area such as Orange County. This means that, for some people, buying a commercial property is virtually impossible. Not only do you need the money to take out a mortgage, you will also have to have money for some of the initial expenditures and the inevitable emergency ones. Before you embark on this, in other words, you need to calculate whether the money that will come in will be more than the money that goes out. While this can only be an estimation, you need to be as accurate as possible before you decide to go for it. Lastly, investing in a commercial property is riskier than investing in a residential property. Because more people enter these buildings, it is more likely that damage gets done, or that somebody becomes injured. You often also have responsibility for the outside areas, such as the parking lots of the commercial properties, and those are hotbeds of injuries and accidents. You may also be targeted by vandalism, which can once again increase the money you have to pay in order to maintain your property.